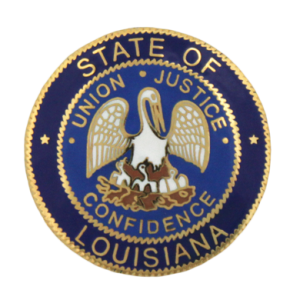 These lawyers were the subject of Louisiana Supreme Court disciplinary orders or Louisiana Attorney Disciplinary Board recommendations that were made public during the month of April 2018. Ronald J. Sholes. The court accepted a joint Petition for Consent Discipline and publicly reprimanded the respondent. The respondent failed to adequately supervise his nonlawyer assistant. Howard L. Marcello. The court transferred the respondent to disability inactive status. Bryan F. Gill, Jr. The court accepted a joint Petition for Consent Discipline and suspended the respondent for eighteen months, with nine months deferred. The respondent commingled personal funds with client funds in his trust account and converted client and third-party funds. David J. Motter.The court reinstated the respondent to active status, conditioned on abiding by the terms of a diagnostic monitoring agreement with JLAP. Kevin M. Dantzler. The court suspended the respondent on an interim basis “for threat of harm” pending further orders of the court. John N. Bokenfohr. The board adopted the findings of the hearing committee and dismissed the formal charges against the respondent. The respondent was accused of assisting a client in criminal conduct and unlawfully obstructing another party’s access to evidence. He viewed a video recording and did not take possession of it to provide to the appropriate authorities. The committee found that the evidence was insufficient to prove that the respondent counseled or assisted his client in a crime or fraud. The committee found that the respondent properly counseled his client to turn in the video tape and the consequences of doing so. Nichole Rene Goudeau. The board recommended that the court suspend the respondent for one year and one day and that she make restitution to her client. The respondent accepted a client when she was ineligible to practice law (for failing to meet CLE requirements to pay bar dues). Furthemore, while ineligible to practice, the respondent performed legal work and received compensation. Neil Dennis William Montgomery. The board recommended that the court suspend the respondent for one year and one day and that he make restitution to his clients. The respondent failed to communicate with his clients and failed to diligently pursue their legal matters.